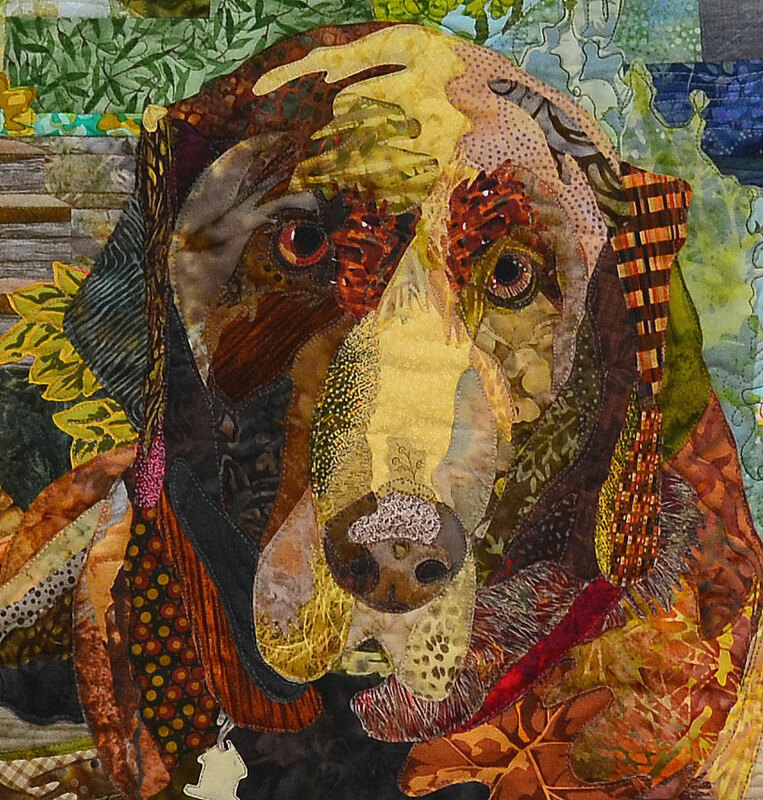 Alison C. took Roxanne Nelson’s Pictorial Quilting and Lorraine Stangness’ Machine Quilting classes at our store since last summer . She put both to good use and decided to enter her “Ozzie” in the Western Lifestyles Creative Arts & Crafts Competition at the Stampede this July and worked on it right up to the deadline. She did a beautiful job and won a first place ribbon. Way to go Alison! Here is a close-up of the face. 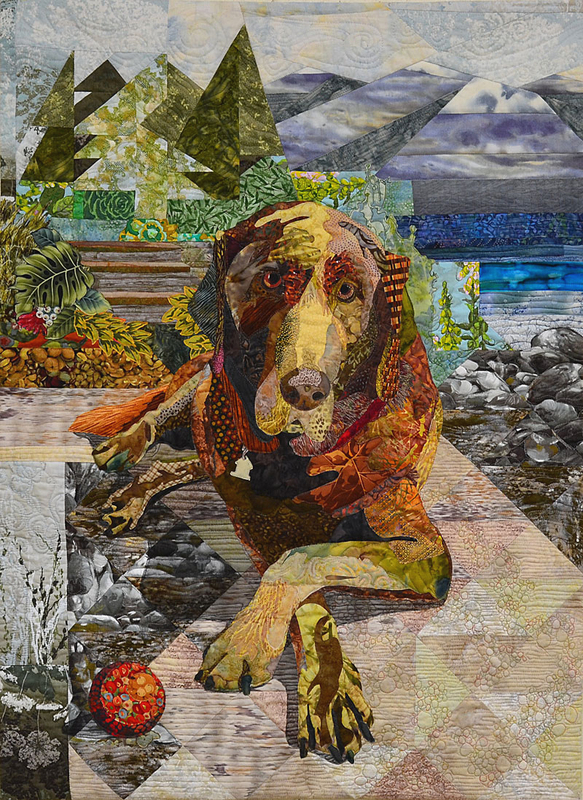 Isn’t it amazing that you can use a plaid fabric (see the ear – or the leg) and it looks just right. Alison has kindly lent us the quilt to display in the store, if you would like to come in and see it in person. Last year I also blogged about a chair Alison worked on. If you would like to read about it please click here.